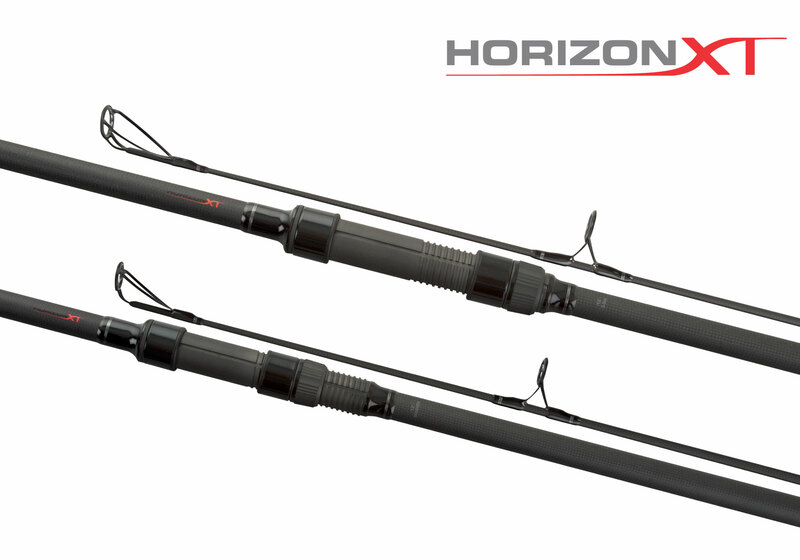 The original Horizon XT has built a formidable reputation over the past three years as one of the best distance casting rods ever produced in its price bracket. Due to developments in carbon technology we have been able to take the performance of XT’s to the ‘next level’ and taken the opportunity to make a few cosmetic tweaks at the same time. The Horizon XT’s have a fast taper blank, which gives fantastic tip recovery meaning no valuable yards are lost on the cast from ‘tip wobble’. We have used a full 1k diagonal carbon weave whilst increasing the resin content to the maximum allowing the rods to be incredibly strong yet still very lightweight. In addition the strength is further increased with reinforced whippings on the spigot whilst cosmetic changes include the use of black Fox Slik Anti-Tangle Guides throughout plus a black 18mm Fuji reel seat. Within the range there is a 12ft 3-5oz and 13ft 3-5oz, meaning that to get the best casting performance out of the rods we recommend that you use leads of at least 3oz and no heavier than 5oz. In addition we also offer two Spod Rod models (12ft and 13ft with 5lb t/c) plus a 4.5lb Marker Rod. Both the spod and marker rods are styled to complement the fishing rods perfectly.